Family dinners are so important when we are all living busy lives with jobs, crèche, schools and so on. 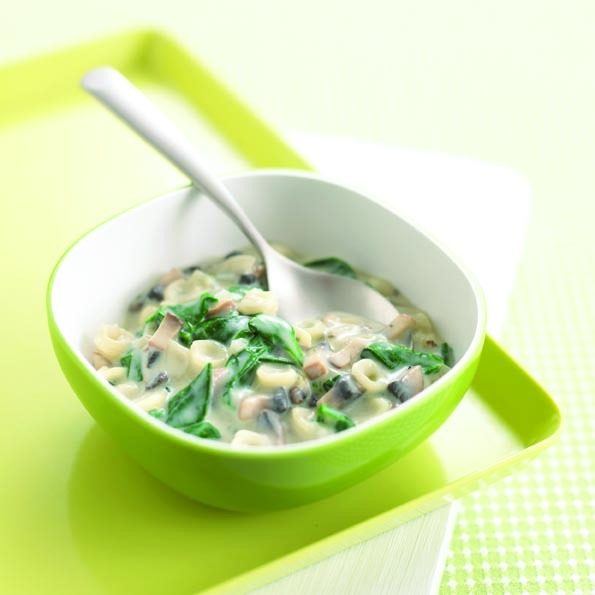 Try one of Annabel Karmel’s delicious winter food recipes to warm up your whole family on a cold day. As the days are getting shorter and we start piling on more layers, there is nothing lovelier than sitting down together to enjoy a comforting meal. 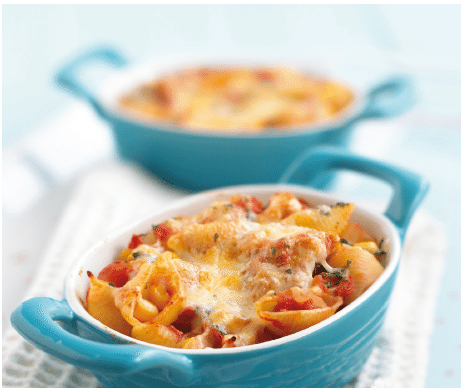 Taking a bit of time to create these delicious recipes is absolutely worth it when the smell of a casserole comes out of the oven and you have come in from the cold. A delicious meal is also perfect for a bit of family time. Our lives are so busy now that it’s more important than ever to spend some time as a family after a long day, and share news and stories from work and school. What better way to do this than over a tasty and warming home-cooked meal? Iron deficiency is a really common nutritional deficiency in many children. Red meat provides the richest source of iron so, provided you’re not raising your child as a vegetarian, it’s important to include red meat in your child’s diet. Preheat the oven to 160°C/320°F/gas 3. Heat 2 tablespoons of the oil in a hob-safe casserole dish and fry the beef in two batches until browned. Remove and set aside. Heat the remaining oil, add the onion and carrot and fry for 2 minutes. Add the garlic and fry for another 30 seconds. Sprinkle over the flour, then blend in the wine, stock, thyme, redcurrant jelly, Worcestershire sauce, tomato paste and bay leaves. Return the beef to the dish and bring to the boil. Cover and transfer to the oven for 11/2 to 2 hours, until tender. Add the mushrooms for the last 20 minutes of the cooking time. This hearty vegetable soup is quick to prepare and makes a perfect warming lunch on cold, blustery days. Heat the oil in a saucepan and add the onion, celery, pepper and carrot. Sauté for 5 minutes, then add the garlic and thyme and cook for another 2 minutes. Add the tinned tomatoes, stock, tomato home-cooked purée and sugar. Season to taste and bring to the boil, then cover and simmer for 10 to 15 minutes, until all the vegetables are tender. 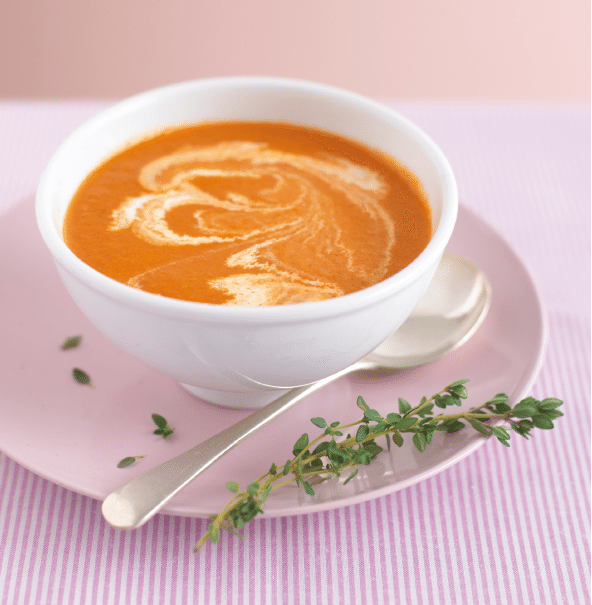 Leave the soup to cool for about 5 minutes, then blend until smooth using an electric hand blender or food processor. Season to taste. finally, swirl in the cream and serve. Cook the pasta following the packet instructions, then drain. Heat the oil and fry the onion until softened. Add the garlic, chicken and balsamic vinegar and fry for 1 minute. Add the tinned tomatoes, sundried tomato paste, sweetcorn, basil and sugar. Simmer for 3 minutes, until the chicken is cooked. Preheat the grill to high. Spoon the mixture into an ovenproof dish and sprinkle with the cheese. Pop under the grill for 5 minutes, until bubbling.